The Perfect Medicare Insurance Plan…. Does it exist? It seems that over the last 30 days I’ve been receiving requests for the Perfect Medicare Insurance Plan. I have been researching surgeons and it seems that I may have several options in Phoenix area but have not found anyone in Southern Cal. for the (removed) surgery. It is a very serious surgery with 3 months spent (removed), which means that I basically have to live with someone who can take care of me and do things for me. It will definitely take time (probably 6 months) to get the surgeon consultations, tests, and approvals for sure. I am starting with a consult at (removed) in February. So in the meantime, I would like to get a (plan type) that covers me in the event of a major medical issue and can cover me in multiple states, not just in CA – so (Plan name) would be out. I also want to get a policy that does not cost me anything extra for the time being. I know that (Plan Name) and (Plan Name) seem to be taken by almost all doc offices so want to focus on those. I want to make sure that I can then upgrade into more comprehensive coverage with those when I am clear on surgery plans and by then I will have raised some money for this purpose. I want to help her, I really do. The type of plan that she is asking for would be a “Perfect Medicare Insurance Plan”. I wish I had access to a plan like this. However, a zero premium plan (this would be a Medicare Advantage Plan) that allows someone to cross state, or even county lines for non-emergency care, and pre-scheduled surgeries, does not exist to my knowledge. Some plans do offer the ability to cross state or county lines for routine care, but you need to check with the insurance company's plan to see if this option is included. Also the insurance Companies that she mentioned in her email (that have zero premium plans) that she requested not only have networks that are inside San Diego, (so she would not be able to see her Phoenix doctor) but she will be further limited by the primary care physician that she chooses, and the specialists that she will be able to see must all be within the primary care physician’s own medical group. I cannot name the companies that she requested since then I would need to explain the entire program to you, and that is not what this article is about. This article is here to describe to you whether the Perfect Medicare Insurance Plan exists. I might have been able to get her a Medicare Supplement Plan, depending on whether I could get her a plan based on guaranteed issue. Medicare Supplement Plans are generally medically underwritten, which means that you have to answer questions about your health. Generally an Medicare Supplement Plan (which allows a person to go to any doctor or medical facility that accepts Medicare) is allowed to say “no” to a person who answers “yes” to the Medical Questions they ask you (except in certain situations) but ALL of these plans have a premium, and the plans with the lowest premiums have the highest copays or deductibles. A few weeks ago I was asked to find another Perfect Medicare Insurance Plan. I referred to someone whose mother was moving into an assisted living facility. Her mother was on a Medi-Medi plan and she wanted to be able to see the doctor who comes to the facility on a weekly basis. I call these doctors “traveling doctors”. If I could find a traveling doctor who accepts a Medi-Medi plan, this would be a Perfect Medicare Insurance Plan. 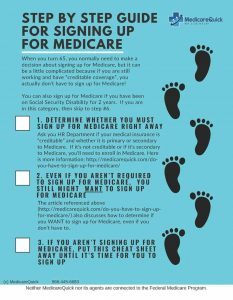 For these of you who do not know what a Medi-Medi plan is– these are plans that coordinate Medicare (as primary insurance) and Medi-Cal, which is California’s version of Medicaid. This is a program for low income individuals. Theoretically, if a person qualifies for Medi-Cal, they can have original Medicare, without a Medicare Advantage Plan (Medi-Medi) and Medi-Cal will pick up their co-pays and deductibles. However, in reality this does not work very well. Many doctors do not accept Medi-Cal and will refuse to see you. Most people who have both Medicare, and Medi-Cal have Medi-Medi, which is a type of Medicare Advantage Plan. Medicare Advantage Plans have networks, which means that the doctor’s group is paid a capitated rate (monthly rate per member). Although I’m not allowed to say that no doctor that comes to an assisted living facility accepts Medi-Medi plans, I can say that I have yet to find one in the area where I live (San Diego, CA). Why is this? The doctor cannot charge co-pays or anything additional to what the Medi-Medi plan pays him or her, and these doctors have additional expenses that doctors who work in an office do not have–for example, the cost of gasoline to get to the facility. Additionally they cannot see as many patients in a day, because part of their day is spent driving. If you are aware of a traveling doctor that accepts Medi-Medi please let us know! We'd love to be able to help our Medi-Medi clients get on the plan that he or she accepts and get assigned this doctor as the primary care physician. Unfortunately I had to tell her that I was not aware of any Medi-Medi plan that she could enroll in that would pay for a “traveling doctor”, so her Perfect Medicare Insurance Plan did not exist. Does a Perfect Medicare Insurance Plan exist? Probably not. Can you find one that fits within your budget if you are willing to make some compromises? Yes…probably. But keep in mind that there are always trade offs. You will give up flexibility for low or no premiums, and you will give up some money to have more flexibility. This is why I always try to start every conversation that I have with a new Medicare recipient, or a new referral to my office with my “Making the Medicare Decision” workshop, which describes the difference between the two types of plans. But even after going through the workshop, I still get asked to do the impossible…find a plan that has a zero premium, but allows you to see any doctor that you want to see, without having to pay. If you find the Perfect Medicare Insurance that fits that description, please let me know! I’d love to be able to share that plan with my clients.